Hello and welcome to September! Do you feel the need for a new healthy start to the school year but feel exhausted with a new baby and would love to chill out for an hour with other like minded mums? Check out this lovely testimonial from Suzanne who attended my classes from April 2014 and really enjoyed them. Look at Suzanne and Bronwen below…don’t they look relaxed?! Classes are held every Friday, £6 drop in. Come along and relax! 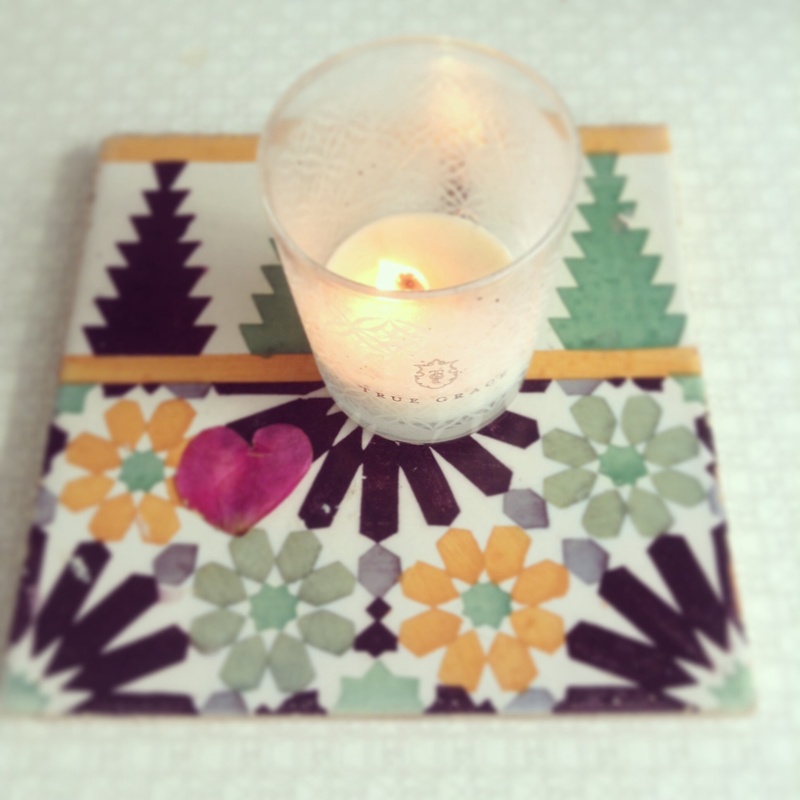 For week commencing 25th August I have two outdoor classes planned. The first is Monday evening, 25th August 7.30-8.30pm at an outdoors venue in Ash Green, so if you’re in the north of Coventry you might like to come along. 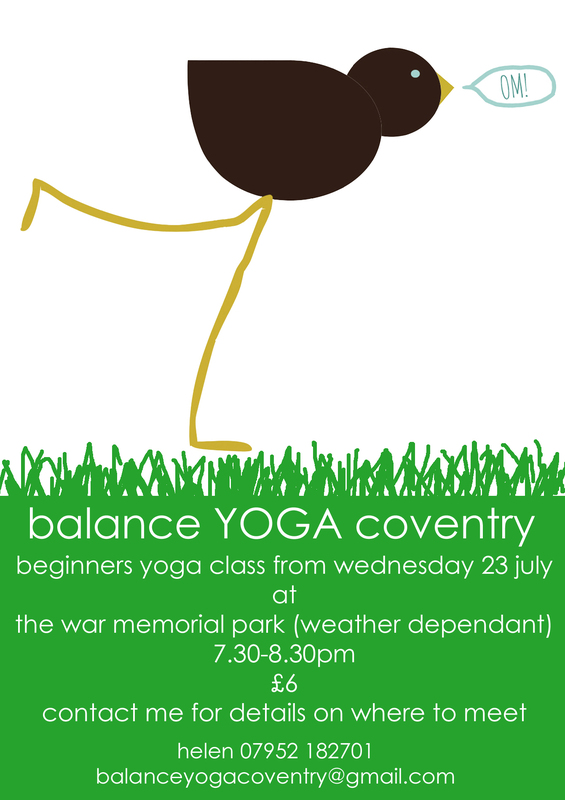 There is one more Wednesday evening class at The War Memorial Park. These have been really special classes, beautiful slow classes surrounded by nature under a large tree! For the final week of sunset outdoor yoga, there’ll be candles to make you feel extra cosy and prepare you for the upcoming Autumn. Both classes are £6 each. Let me know if you’d like to join us! Restore body, mind and soul….NEW CLASS! 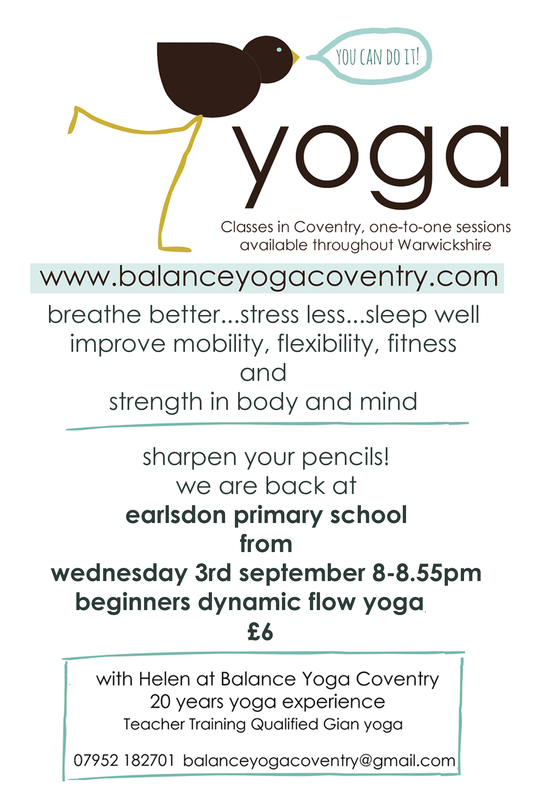 There’s a new class starting in Coventry, geared towards those who are super-stressed, anxious and worn-out and the very idea of yoga may strike you with fear! You may be intrigued about yoga but have visions of skinny, bendy types all showing off in lycra…well, worry no more! This new restorative yoga class is for you. Yoga has a direct impact on the workings of the body and mind. Restorative yoga including some yin yoga elements (passive poses held for several minutes with the help of props, bolsters and blankets) can help to open up the body, stretching the body slowly and gently, and creating space in the body and mind to grow, fostering a positivity that you may be searching for. Sessions will include pranayama (breathing techniques) to counteract stress and anxiety and to help increase energy. There will also be meditation with visualisation to further enhance your own ability to beat stress. Yoga is a non-competitive practice, and there is no need to be super flexible! No yoga experience necessary. There’s no need to miss out on my yoga classes this Summer once the school holidays start. I’m moving the Wednesday night Earlsdon Primary class to The Memorial Park from July 23rd. There’ll be a slight change of time to 7.30-8.30pm. Obviously the classes will depend on the weather so I’ll keep an eye on the skies and let you know in advance. 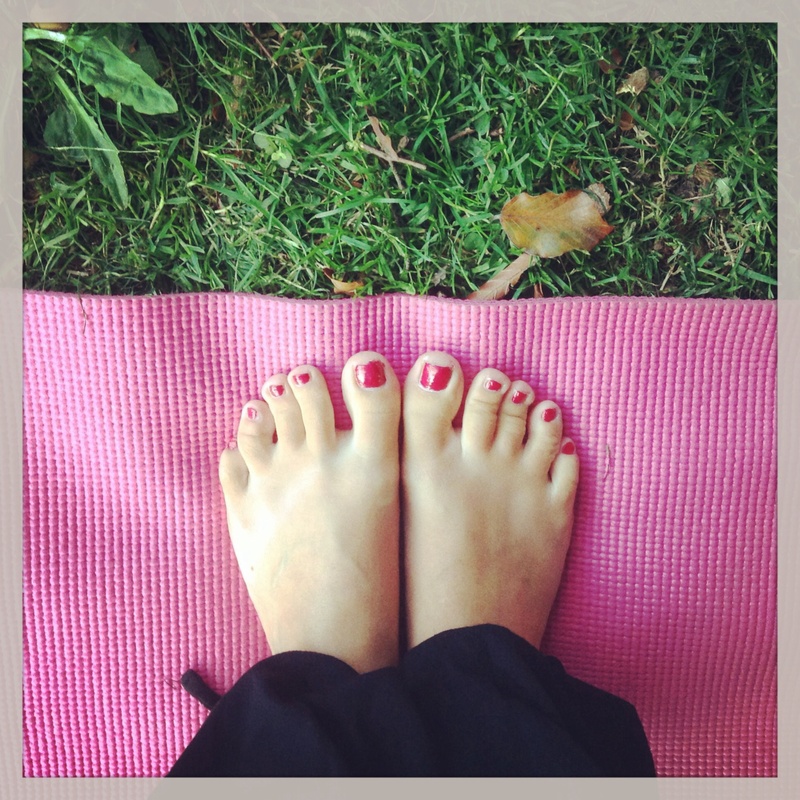 If you’ve never done yoga outside before then you really should! There’s nothing like breathing in the fresh green air whilst hanging upside down, cloud watching (or blue-skies-watching, hopefully). The class is suitable for beginners and is a slow flowing style giving you time to appreciate the benefits of each posture. The Tour de France is about to begin and cycling seems to be more popular than it has ever been. or look at Emma below, about to master Crow pose, Bakasana. 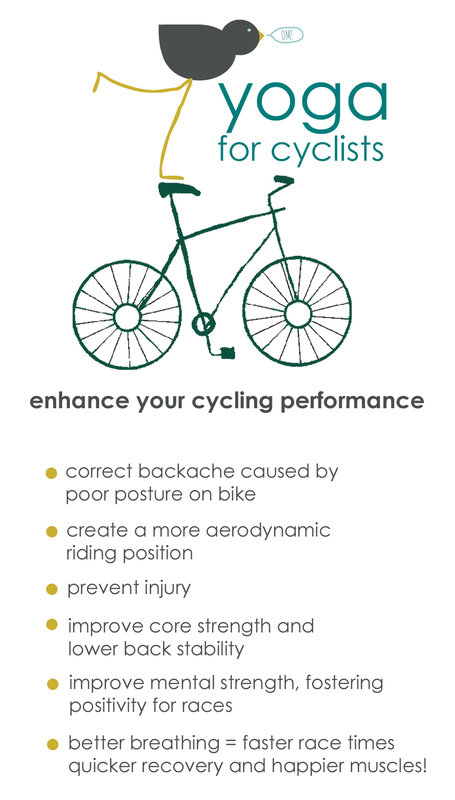 Emma, a huge cycling fan herself, regular 50 mile plus rider and recent Time Trial debutante has weekly one-to-one yoga sessions with me that are tailored to help with all the issues that present to a cyclist. Read her testimonial to see how yoga has helped her.